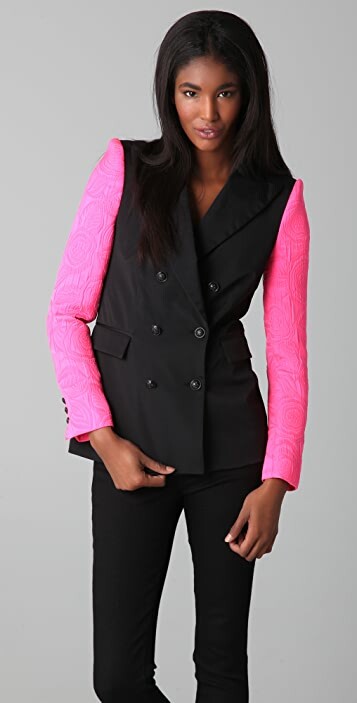 This cotton jacket features contrast quilted long sleeves. Pointed lapels and double-breasted, 4-button closure. Flap hip pockets and 3-button cuffs. Lined. * Shell: 57% cotton/40% polyamide/3% elastane. 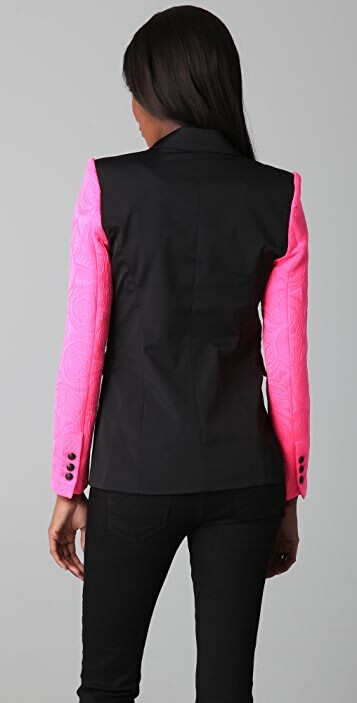 This truly is a unique blazer- wearable yet head turning (literallly). 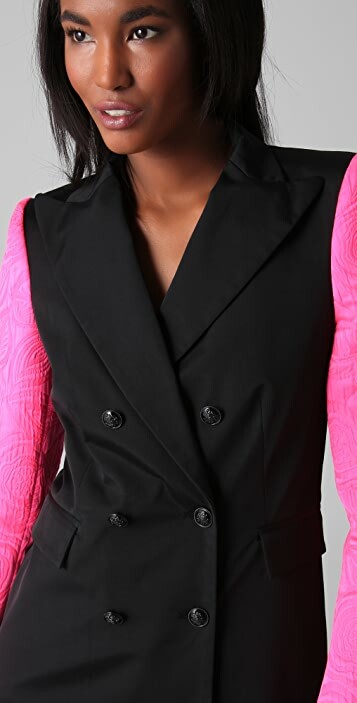 Even when I was just holding this blazer in my hand, people were complimenting me on it and asking me who made it. It runs slightly big, even though I bought the smallest size available (sz 2) but only if you're petite like me. The sleeves are too long for me so I usually push them up to my elbow. It fits like a boyfriend blazer for me, so I usually pair them with my leather shorts or Ksubi cutoffs to balance the proportion. I gave it one less star only because of the fabric-the pink quilted sleeves are nice but I didn't quite like the rest of the fabric; they look like those cheap, illl-fitting suiting blazers that I cringe at, but just of slightly better quality. 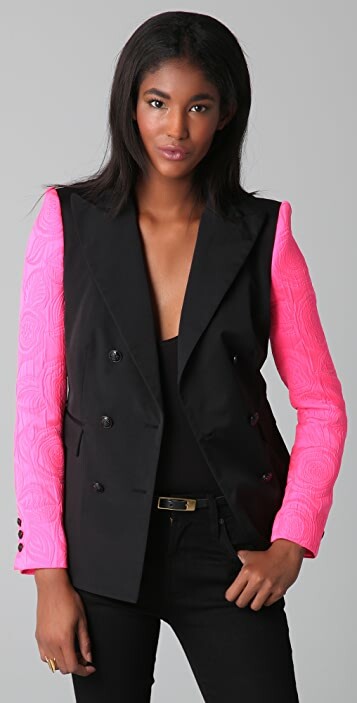 But I'm keeping it because it fits fine and it is a truly one of a kind blazer.